The majority of pet owners treat their pets as members of the family. Therefore, it comes as no surprise that they want to bring their pets on family vacations. With pet-friendly hotels popping up all over the place it is now easier than ever. Gone are the days when you were restricted to camping trips. Pet-friendly hotels are also really useful for owners who need to take their pet to a specialized animal hospital that is located on the other side of the country. They can spend the night at a hotel, which means that they can break up their journey and have somewhere relaxing to stay together. Although pet-friendly hotels are a growing trend there is one hotel chain that really stands out. They have gone to great lengths to satisfy both owner and pet, and ensure that their trip is one to remember. To me, they are pioneers in the pet-friendly hotel movement. The Kimpton Hotel & Restaurant Group Inc. There are over 50 Kimpton Hotels across 26 cities in the USA, and they are all pet-friendly. In fact, they go beyond pet-friendly and they treat your pets as VIPs, Very Important Pets. What really impresses me about Kimpton is that they have no limits and no extra costs for bringing pets. Many other hotels have weight restrictions, number of pet restrictions, type of pet restrictions and they will often charge a one-off or nightly fee. Kimpton Hotels have no such restrictions. In fact, they are so accommodating that they have even had penguins and kangaroos stay at one of their hotels when a traveling zoo came to town. If you don't have your own pet or you are unable to bring your pet with you, then do not worry, Kimpton have thought of everything and you will not be sad for long. They love pets so much that they have a developed a service called 'Guppy Love'. 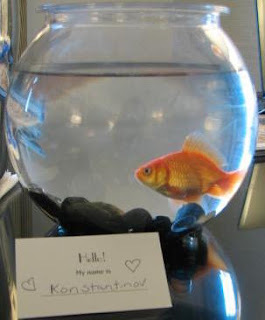 Upon your request they will deliver a goldfish to your room to keep you company for the duration of your stay, which the hotel staff will look after for you. The really are true animal lovers! 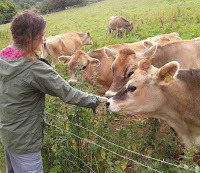 The lack of restrictions is not only appreciated by holiday makers, but also by the locals in the area. Kimpton Hotels are often relied upon after a natural disaster or during extreme weather conditions. Locals know that it is somewhere their whole family can stay, including their pets, if their homes have been destroyed or they have a power outage. 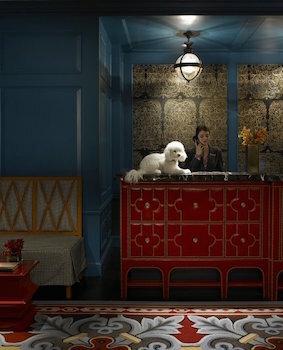 The main Kimpton Hotels have their very own canine Director of Pet Relations. They greet all the four-legged guests that arrive at the hotel and can either be found either in the reception area or roaming the hotel making friend. Kimpton Hotels also have pet-free floors for those that dislike animals or have allergies. 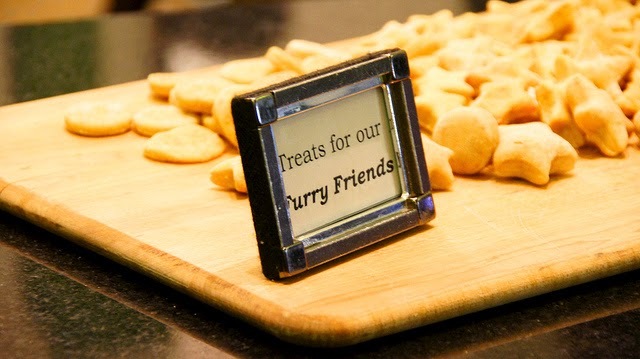 Most hotels have a chalkboard in the reception area that they will write your pet's name on when they first arrive. Dog snacks and bottles of water in the lobby. A list of all the pet-friendly parks and establishments in the area, such as restaurants, groomers and pet boutiques. Plush pet beds are available on request. Dog bowls and placement mats in your room. Special door hangers that alert staff and other guests to your pet's stay. There's a complimentary wine hour held in the evenings, which pets are invited to attend. Pet-sitting services for when you need to go out and you can't bring your pet. Dog walking services are available for when you need an extra helping hand. 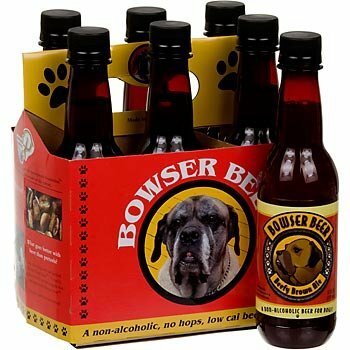 Special packages are available that include Bowser Beer (dog beer), new leashes, local goodies, gourmet treats, chew toys, scratching posts and pet massages. Very forward thinking hotel company, love it! That is the neatest idea to have a Director of Pet Relations at the hotel. I am assuming this person would have had to be educated in Hospitality Services, as well as pet care services. When you allow a clientele like that into your hotel rooms, you've really got to provide great care for them, because if they are unhappy they would actually do something to the rug or the bed or something of that nature. I read your article. This place are really awesome. I think this is a very interesting blog. I think that it is so awesome that they have no restrictions on pets. That is so cool that they've even had kangaroos stay at their hotels. Our dog Charlie is basically like one of the family. It's nice to know that we can actually take him on our family vacations and have a place to keep him.When you allow a clientele like that into your hotel rooms, you've really got to provide great care for them, because if they are unhappy they would actually do something to the rug or the bed or something of that nature.